Former CIA director David Petraeus has reached a plea deal with the US Department of Justice in which he will admit to mishandling classified materials. It ends a long investigation into whether he provided secret information to his mistress Paula Broadwell. David Petraeus resigned from his post at the CIA in 2012, after it emerged he was having an affair with his biographer Paula Broadwell. A DoJ statement said a plea agreement had been filed. The deal means that David Petraeus will plead guilty to one count of unauthorized removal and retention of classified material, but could avoid an embarrassing trial. The charge carries a maximum sentence of one year in prison, the New York Times reported. The retired four-star general was in charge of America’s recent wars in Iraq and Afghanistan, and was once considered a contender for the Republican presidential ticket. 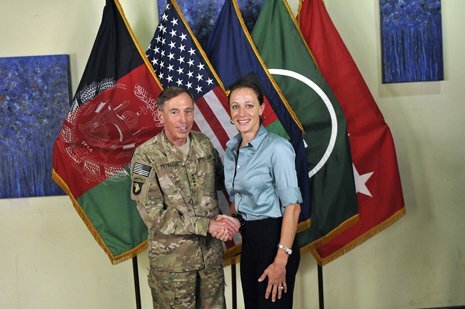 David Petraeus had an affair with Paula Broadwell in 2011 during which time she was interviewing him for a biography she was writing. Three days after the 2012 general election, David Petraeus resigned as the director of the CIA and admitted to the affair but at the time he denied any criminal wrongdoing. The FBI discovered the affair during a cyberstalking investigation following allegations made by one of the former general’s friends, Jill Kelley. They determined that Paula Broadwell had been sending threatening emails to Jill Kelley, and during the investigation they discovered evidence that suggested David Petraeus had shared the classified information. Benjamin Netanyahu Congress speech: "Iran nuclear deal could pave its way to bomb"